IELTS Test is regarded as one of the most popular and trusted 'English Language Test' all over the world. As per records, 135 countries accept the IELTS certificate and nearly as many as 2.7 million candidates take the test, annually. Naturally, the benchmark of the test is set very high and only the most competent candidates become able to come out with success. Candidates know that clearing the test with a high band score is as good as ensuring a bright career overseas. Though clearing the IELTS Test is not as tough as it appears to the mind of most of the non-native English speakers, but not as easy as to call it 'Anybody's job'. 1) IELTS Academic Test and the 2) IELTS General Training Test, are the two modules of the IELTS tests, and the tests are designed and structured in such a flawless pattern that, calling it 'The Ultimate Test of Proficiency in the English language' is not an exaggeration at all. So, for the ultimate test a candidate's preparation has to be absolutely perfect, and he should be highly skilled in all forms of the English language, i.e. 1) Speaking, 2) Listening, 3) reading and 4) Writing. On the Internet, there are few hundreds of 'Really Good-Quality Blogs', from which the candidates get great help at almost free of cost, the blogs provide great study materials free to download. You just have to bear the Internet cost. So, a great number of students take the help from the blogs for IELTS preparation. Depending on information from reliable sources, some of the bests of the 'Best Blogs' are listed below, shortlisted from hundreds of good blogs for IELTS preparation. Why these blogs are considered 'Best of the Best Blogs', we are going to discuss below. a. 'Real Test Like Sample Materials', to become absolutely familiar with the test situations. b. ‘Mock Tests', which replicate the real tests. c. 'Audio Lessons' which are recorded versions of the interactive conversations with the examiner. d. Sample 'Audios Lessons' to boost his 'Spoken English', to 'Enrich his Vocabulary' and 'To improve his accent'. 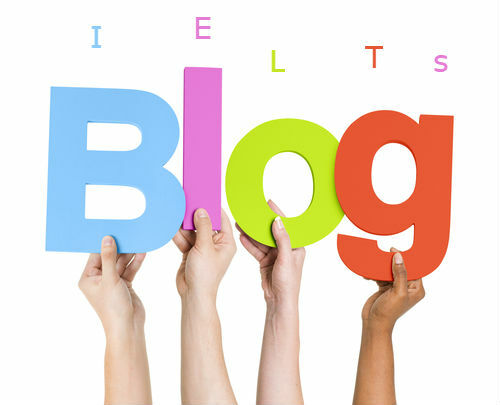 Whatever, a candidate needs for preparing himself with the help of the 'IELTS Blogs' for the 'IELTS Speaking Test', he would find it available in the above-listed blogs. The blogs provide very valuable tips for the tests as well. a. Good quality 'Real Exam like Audio Samples', to become familiar with the accent of the native-English speakers and understand their conversations of them as well by listening to the audios and again. b. Real exam-like sample questions with answers. In the listening test, the questions are asked on the basis of the 'Played Audio'. The blogs are immensely helpful for the candidates as they provide ample supportive study materials, in the form of 'Recorded audios of native-English speaker's conversation' followed by all types of possible questions given with answers. By listening to the audios repeatedly, which are available on these blogs, the candidates become able to understand different types of English language used in different countries. Thus the 'Best Blogs' help the students/candidates not only towards solving their problems but also make them competent for the tests, needless to mention, 'Free of cost'. a. Reading for gist and the main ideas. b. Skimming and reading for understanding logical arguments from the given text. c. Recognizing the exact opinion of the writer of the text and some more. a. Answering multiple choice questions. d. Completion of sentences, and a few more. The top 'Quality of the Study Materials' provided by the 'Best Blogs' for the reading test are extremely rich and fulfill all the need of the candidates, ensuring success in the test. As almost all these blogs provide downloadable and excellent quality study materials, candidates who follow these blogs properly don't need any external help, unless he is a very weak one in English. a. The Task1 of the Academic module requires a candidate to describe a Table/Graph/Pie Chart etc. in minimum 150 words. b. The Task1 of the of the GT module requires a candidate to write a letter on a given situation, in minimum 150 words. d.The Task2 of the GT module requires a candidate to write an essay of a different type, example: The point of view of some people is that 'Parents are the best teachers of a child to teach him, True moral values, Social duties, etc. while some other believes that its' the duty of the school teachers. What is your opinion? Justify it with logic and provide a real-life example. (Write in a minimum of 250 words). What is not written on the instruction, is that a candidate has to write in 'An impeccable, nicely composed rich English, showcasing a wide range of vocabulary, great and wide execution of grammatical knowledge with hardly any spelling mistakes and noticeable skill of constructing various types of sentences. a. Exact types of graphs/pie charts/tables given with the right way to describe them. b. Enormously helpful 'Study Materials' to make him completely understand, what should be the quality of writing? c. Excellent quality perfect sample question papers given with answers. d. Great quality sample essays and letters, which are best examples of the original test components. e. Content rich examples to improve writing skill, with various types of 'Grammatical usage' and techniques to write 'Rich and Complex sentences' keeping the contextual meaning easy to understand. f. Plenty of 'Mock Tests' with solved answers, to gain confidence and learn the ways to minimize mistakes and score high. With the easy availability of the Internet, people have less patience; they don't want to spend time for reading books for acquiring knowledge. It's the same with the students who are preparing for any exam. They want to have the all they want at their fingertips. Consequently, candidates preparing for the IELTS Exam have found gold mines in the form of the tagged as the 'Best Blogs,' which are full of all sorts of information a candidate might even desire to have. Moreover, these blogs not only provide information or study materials, but they also act as an experienced teacher, as there are options for 'Mock Tests' with solved answers. Moreover, these blogs are so user-friendly that almost all of the above-listed blogs cover all the requisites for the tests with such intricate details that are simply awesome. You get valuable study materials free of cost; apart from a few blogs, all the blogs provide 'free to download' study materials.